 Curtis for Congress (“We,” “Us,” “Our”) is offering a mobile messaging program (the “Program”), subject to these Mobile Messaging Terms and Conditions (the “Terms”). If you do not wish to continue participating in the program or no longer agree to these Terms, you can reply “STOP” to any mobile message from Us in order to opt out of the Program. User Opt In: The Program allows users to receive SMS/MMS mobile messages by users affirmatively opting into the Program, such as through online enrollment forms or by texting a keyword to opt into the Program. Regardless of the opt-in method you utilized to join the Program, you agree that these Terms apply to your participation in the Program. The mobile messaging service used by Us to communicate with you requires human intervention for Our mobile messages to be initiated, and thus Our mobile messages are not sent to you by an automatic telephone dialing system (“ATDS” or “autodialer”). Nevertheless, by participating in the Program, you agree to receive autodialed marketing mobile messages and you understand that consent is not required to make any purchase from Us. Contact Information: For support, reply “HELP” to any of Our mobile messages, or email info@johncurtis.org. User Opt Out and Additional Commands: To opt out (discontinue participation in Program), reply “STOP” to any of Our mobile messages from your mobile device. This is the easiest and preferred method to opt out of the Program. You may receive an additional mobile message confirming your decision to opt out. You may also opt out by texting “QUIT”, “END”, “CANCEL”, “UNSUBSCRIBE”, or “STOP ALL” to any of Our mobile messages you receive, or by contacting Us via the means provided above and clearly communicating your intent to unsubscribe from the Program. For additional support, email info@johncurtis.org. No Warranty: We will not be liable for any delays or failures in the receipt of any mobile messages connected with this Program. Delivery of mobile messages is subject to effective transmission from your wireless service provider/network operator, and is outside of Our control. Our wireless carrier is not liable for delayed or undelivered mobile messages. To the fullest extent permitted by law, each of the parties agrees that any proceeding, whether in arbitration or in court, will be conducted only on an individual basis and not in a class, consolidated or representative action. The appointed arbitrator may award monetary damages and any other remedies allowed by the state law designated above. In making his or her determination, the arbitrator will not have the authority to modify any term or provision of these Terms. The arbitrator will deliver a reasoned written decision with respect to the dispute (the “Award”) to each party, who will promptly act in accordance the Award. Any Award (including interim or final remedies) may be confirmed or enforced in any court having jurisdiction, including any court having jurisdiction over either party or its assets. The decision of the arbitrator will be final and binding on the parties, and will not be subject to appeal or review. Each party will advance one-half of the fees and expenses of the arbitrator, the costs of the attendance of the court reporter at the arbitration hearing, and the costs of the arbitration facility. In any arbitration arising out of or related to these Terms, the arbitrators will award to the prevailing party, if any, costs and attorneys’ fees and costs reasonably incurred by the prevailing party in connection therewith. The parties will maintain the confidential nature of the arbitration proceeding, the hearing and the Award, except as may be necessary to prepare for or conduct the arbitration hearing on the merits, or except as may be necessary in connection with a court application for a preliminary remedy, or confirmation of an Award or its enforcement, or unless otherwise required by any applicable law. Any documentary or other evidence produced in any arbitration hereunder will be treated as confidential by the parties, witnesses and arbitrators, and will not be disclosed to any third person (other than witnesses or experts), except as required by any applicable law or except if such evidence was obtained from the public domain or is otherwise obtained independently of the arbitration. Miscellaneous: You warrant and represent to Us that you have all necessary rights, power, and authority to agree to these Terms and perform your obligations hereunder, and nothing contained in this Agreement or in the performance of such obligations will place you in breach of any other contract or obligation. The failure of either party to exercise in any respect any right provided for herein will not be deemed a waiver of any further rights hereunder. If any provision of these Terms is found to be unenforceable or invalid, that provision will be limited or eliminated to the minimum extent necessary so that this Agreement will otherwise remain in full force and effect and enforceable. Any new features, changes, updates or improvements of the Program shall be subject to these Terms unless explicitly stated otherwise in writing. We reserve the right to change these Terms from time to time. Any updates to these Terms shall be communicated to you. You acknowledge your responsibility to review these Terms from time to time and to be aware of any such changes. By continuing to participate in the Program after any such changes, you accept these Terms, as modified.